Another day, another poll and another sign Democrats will have a tough time unseating Gov. Chris Sununu in November–even in a trending-Democrat midterm election. Voter Intensity: According to the NHIOP poll, passion about voting in the upcoming election appears to be bipartisan, with Democrats and Republicans nearly tied on the “extremely likely to vote” question (77% and 74%, respectively) And 66 percent of Independents also maintain they are “extremely likely” to show up on Election Day. Trump Approval: History indicates that presidential approval has a major impact on midterm elections. Trump’s numbers in New Hampshire have never been good, but they’ve edged back into “good be worse” territory at 40 percent favorable/ 58% unfavorable– up from 36/62 in the previous NHIOP poll. Right Track/Wrong Track and Partisan Preference: Neither of these numbers are great, but they’re moving in the GOP’s direction. 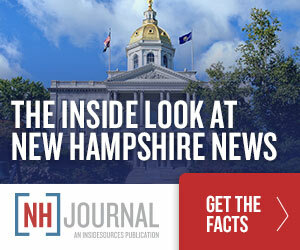 The percentage of New Hampshire residents who think the country is on the right track has gone up since February from 31 to 34 percent, and the percentage who’d prefer to see a Democrat in the “generic ballot” question is down from 47 to 43 percent (the GOP preference number was steady at 35 percent). These numbers aren’t exactly ideal for a GOP incumbent in a purple state in an anti-Republican midterm climate–a fact which makes Sununu’s 65 percent even more problematic for Democrats. The macro-political conditions are bad, and Sununu’s still polling well. Unless those conditions change drastically or Sununu commits a major faux pas, the NH governor’s race will likely be be one of the Democratic Party’s (few) disappointments of the 2018 midterms.